Do you love your Keurig coffee machine? Sure, but do you also love the environmental nightmare K-Cups are? Or the fact that those single-use K-cups make every cup of coffee crazy expensive? K-Cups aren’t recyclable or compostable. The plastic garbage produced by K-Cup waste is enormous. In 2013 alone, Green Mountain produced 8.3 billion K-Cups in 2013, enough to circle the Earth almost 11 times. That’s for just one year! 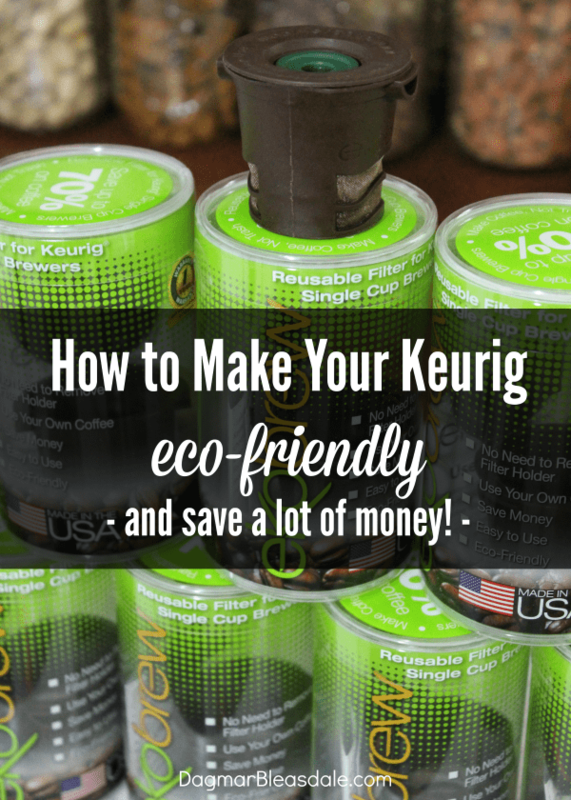 There is nothing eco-friendly about K-Cups, period. Still want to use a Keurig coffee machine? Then I have a solution: use a reusable Ekobrew filter in your Keurig machine. As a passionate environmental activist, it’s the only way I felt comfortable using a Keurig machine when I was given one. Plus, I’m too frugal to shell out $1+ for one cup of coffee. 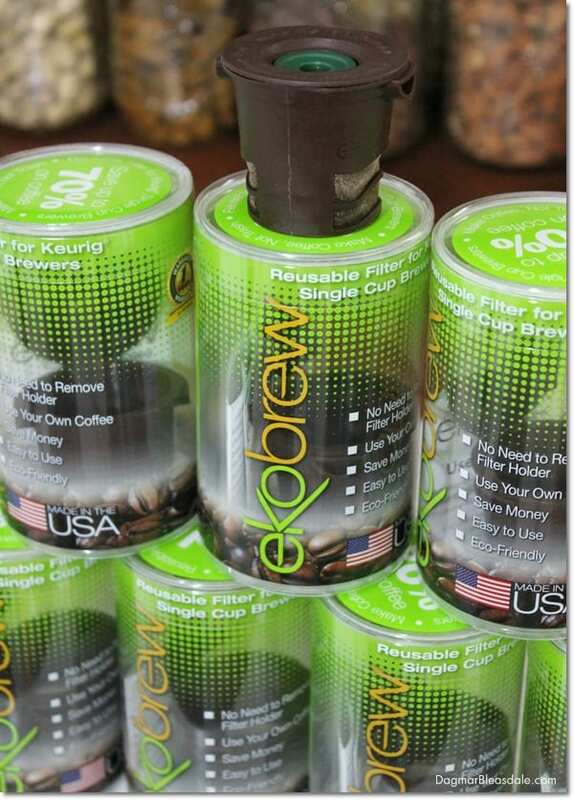 Just scoop your favorite grounds into the Ekobrew filter, then use it like a disposable K-Cup. 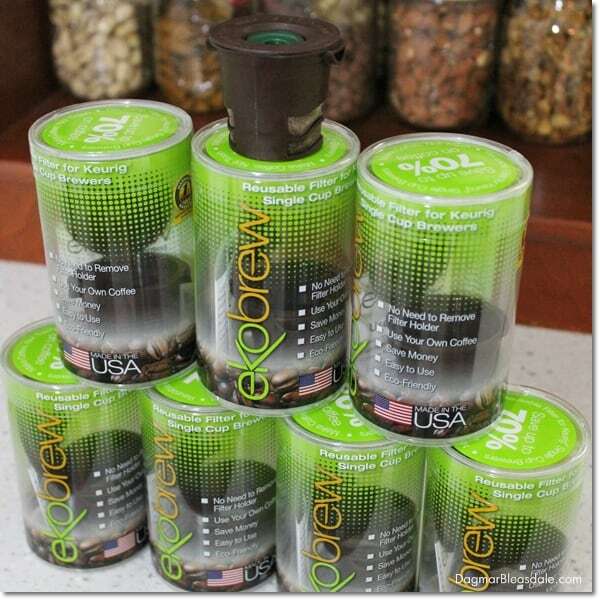 If you want to contribute to being green and more sustainable, using an Ekobrew filter is the simple solution. Here is another advantage: when you dump out the coffee grounds, you can reuse them as fertilizer for your yard or garden. I always add it to our compost. You can find the self-fill k-cup at the Dollar store for… 1$!!! Hi Barb, wow, I didn’t know that! Are they BPA free? Thanks for the tip! Don’t know, my guess is not! Great Question!